Super nutrition, low calorie, health-boosting foods we can share with our canine friends? Read on for some health foods you can share with your dog! There are several human superfoods that you can safely share with your canine companion. You can add them to meals or offer them as snacks or training treats. Remember to go slowly when introducing new foods. 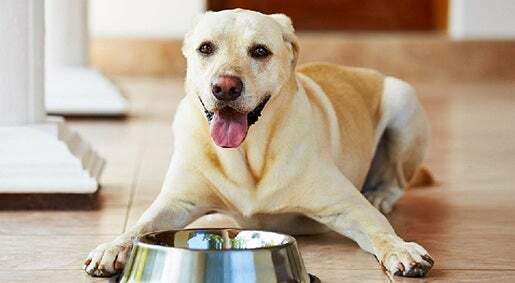 We also recommend checking with your veterinarian first if your dog has any digestive issues or other health concerns before adding new tid-bits to their diet. Fresh or frozen, blueberries are great training treats for your canine companion. Their blue hue is the result of powerful antioxidants. Blueberries are also a good source of fibre, manganese and vitamins. Replacing one of the current treats you feed each day with fresh or frozen blueberries is a great way to increase antioxidants. Broccoli helps detoxification processes, contains fibre, is rich in potassium, calcium, protein and vitamin C, has anti-inflammatory properties, supports eye health, helps repair skin damage and supports heart health! Your pet may prefer broccoli cooked, although many dogs eat florets fresh. Chopped broccoli stems make great treats too. Chia seeds contain omega-3 fatty acids and antioxidants. They also provide fibre, calcium, phosphorus, magnesium, manganese, copper, iron, molybdenum, niacin and zinc. Try sprinkling some chia seeds on your dog's meals! Fermented foods are potent detoxifiers and contain high levels of probiotics and vitamin K2. Beneficial gut bacteria provided by probiotics break down and eliminate heavy metals and other toxins from the body. Adding fermented veggies to your pet's food is a great way to offer food-based probiotics and natural nutrients. Goji berries are typically sold dried and resemble red raisins. The berries are rich in amino acids and antioxidants. Goji extracts may prevent the growth of cancer cells, reduce blood glucose and lower cholesterol levels. Use these as tiny training rewards in place of processed dog treats. Kale is a green cruciferous vegetable loaded with vitamins, iron and antioxidants. It helps with liver detoxification and also has anti-inflammatory properties. Add chopped kale to your pet's food as a great source of fibre, nutrients and antioxidants. Kefir is a fermented milk beverage that contains probiotics that support the immune system. Although regular cow's milk can be irritating to pets' GI tracts, fermented milk is different. Add this super probiotic to your pet's food for overall improved GI defences. Raw pumpkin seeds are a rich source of minerals, vitamin K, and phytosterols. Research suggests pumpkin seeds can prevent calcium oxalate kidney stones, reduce inflammation caused by arthritis and support prostate health. Fish are a rich source of omega-3 fatty acids which are essential to your pet's well-being. If you supplement your pet's diet with fish, sardines packed in water are a great choice. Sardines don't live long enough to store toxins in their bodies and they're a terrific source of omega-3's. Kumara are rich in beta-carotene and antioxidants and are also high in vitamins. Those with purple flesh have potent antioxidant and anti-inflammatory properties that may lower the risk from heavy metals and oxygen radicals. It’s great to know there are quite a few superfoods we can share with our pets and both gain the benefits from – so why not swap out a few of the usual treats for some new ‘super’ treats! As with any new addition to your pet’s diet, it is always best to consult with your veterinarian first. What is your dog’s favourite super treat? Share your stories or pics with us on our Facebook page!